Last edited by conwelpic; 01-23-2019 at 01:25 PM. This is shaping up to be a rather nice vehicle. I hope they offer it someday with the twin-turbo 3.3 with even greater towing capacity. Have they announced the weight yet? 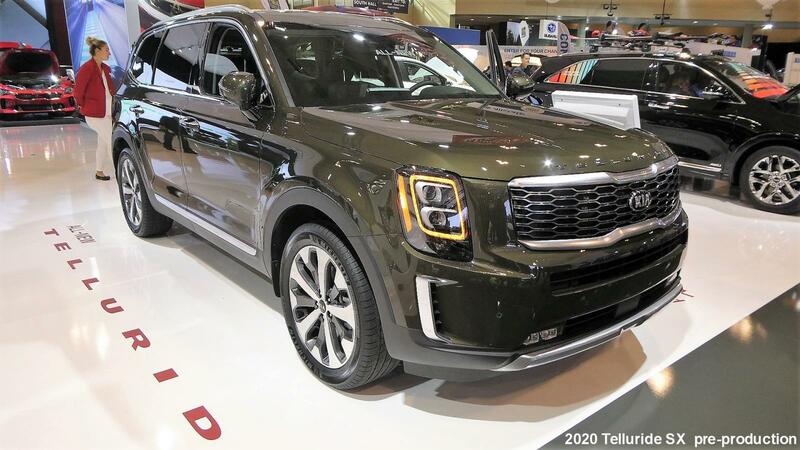 I sure hope it has a meatier torque curve, because HP is basically identical, and 10 lb/ft of torque isn't much of a difference, especially if the Telluride ends up being 400 lbs more. They're making a good business case for the Sorento. 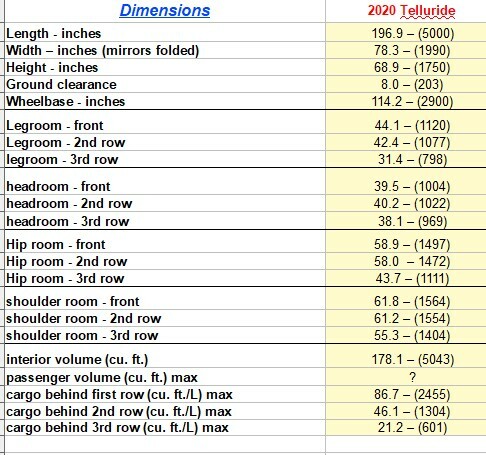 Edit: I see the weight on the specs page: 4255-4482 lbs. So 100-150 lbs more than equivalent Sorento. That's not too bad, considering the size increase. Last edited by Kia-Driver; 01-24-2019 at 09:24 AM. 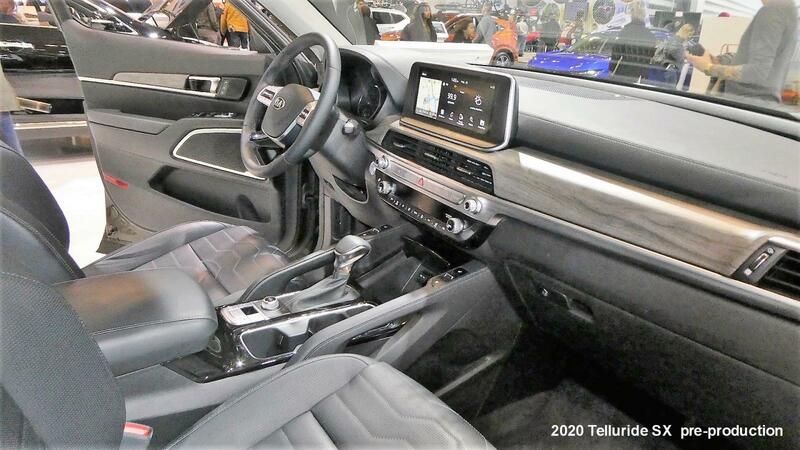 Looking at the features, it looks like it lacks some of the standard Sorento luxury features in trims lower than SX like soft touch surfaces, SS skid plates, etc. Also it doesn't get R-MDPS at all. 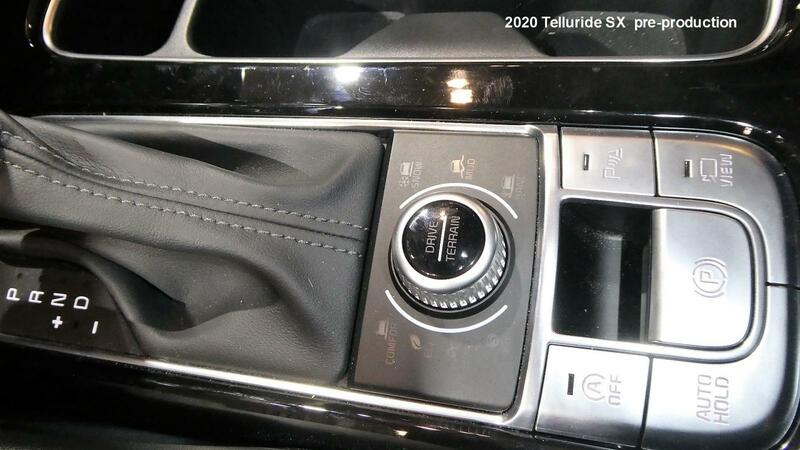 It also doesn't get the Palisade's 12" fully digital gauges and power 3rd row seats. So clearly they plan to market Sorento as a luxury MDX/QX60 competitor whereas Telluride more of a mainstream competitor while keeping its price low. This is going to eat up Sorento sales and it might get discontinued. 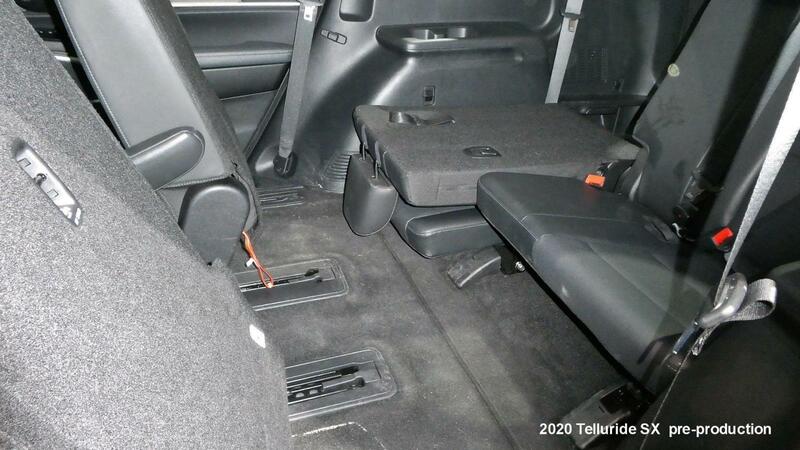 I will hold on to mine and might just get Telluride/Palisade instead of a minivan. 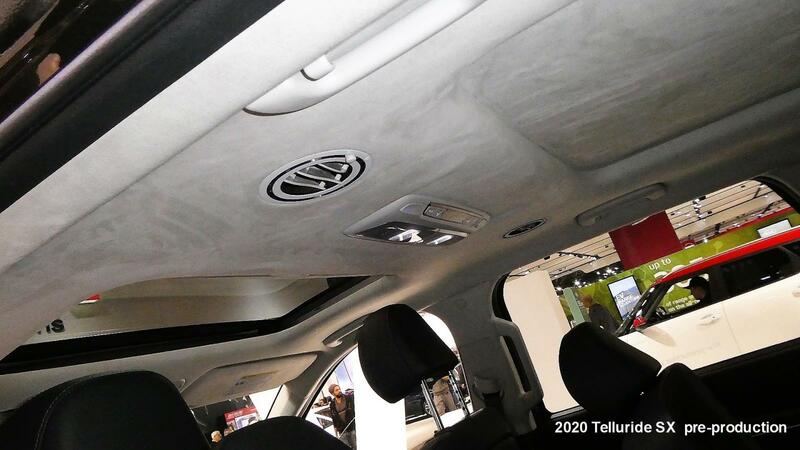 On the other hand I also see they removed many standard features from the Sedona. Last edited by CrazyBiker; 01-24-2019 at 01:17 PM.